An analysis of debris from Malaysia Airlines Flight 370 suggests the ill-fated plane entered into a steep dive, crashing into the ocean with wing flaps in a retracted position. The new report suggests no one was at the controls at the time, and that no attempt was made to perform a controlled ditching. Since the plane disappeared on March 8, 2014, two predominant theories have emerged. The favored theory is that no one was in control of the plane when it crashed, but in recent months—and in light of the fact that the primary wreckage site has yet to be found—an alternate theory has gained traction, namely the suggestion that someone was in fact behind the controls, putting the plane into a glide that in theory would triple the size of the search area. A new report compiled by the Australian Transport Safety Bureau, which is leading the search, now puts this alternate theory in serious doubt. An analysis of satellite data suggests the plane was in a “high and increasing rate of descent” in its final moments. Estimates suggest the plane was plummeting at a rate of about 12,000 feet a minute (135 mph/217 km/hr) when in crashed into the water, likely disintegrating on contact. 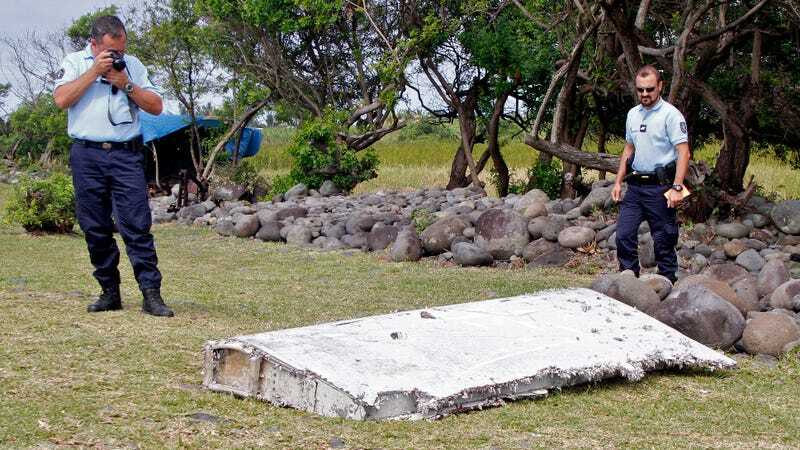 What’s more, a wing section that washed ashore in Tanzania was found to be in a retracted position, and not deployed when it broke off the plane. Pilots typically extend flaps during a controlled ditching. This is a significant setback for those hoping to see the search area expanded. Investigators are currently combing through a 120,000 square-kilometer area west of Australia. Should no new evidence emerge in the coming weeks and months, officials have agreed to call off the search in February 2017—nearly three years after the plane disappeared with 239 people on board.